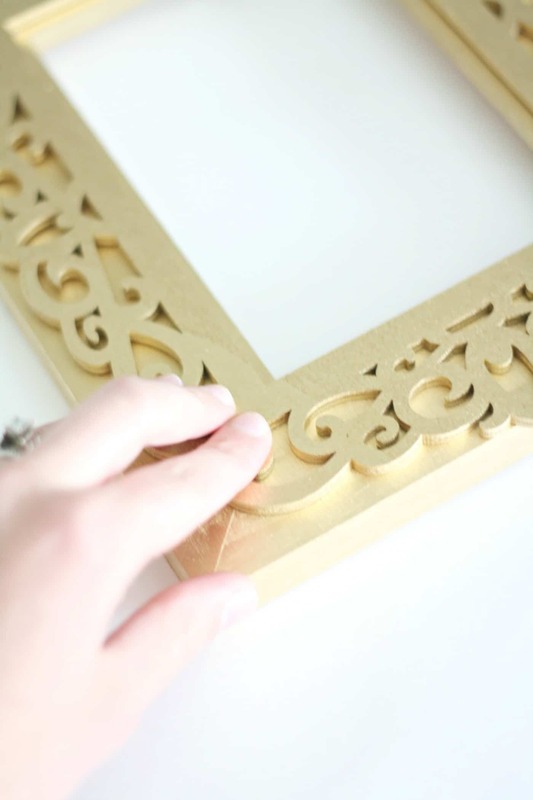 This DIY picture frame is such an eye catching project! 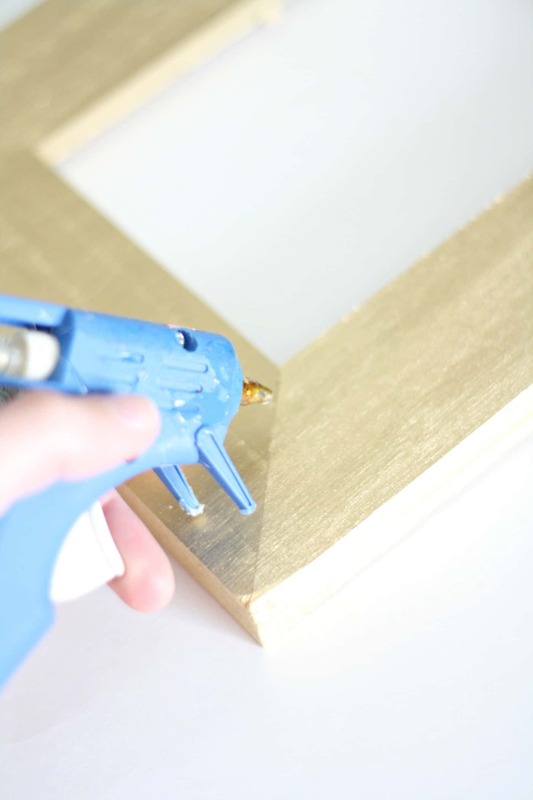 Use spray paint to make it look like 14k gold. Very easy and very budget friendly! 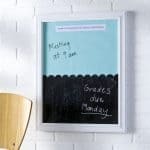 Today I have a fun, simple, but eye-catching project to share with you! 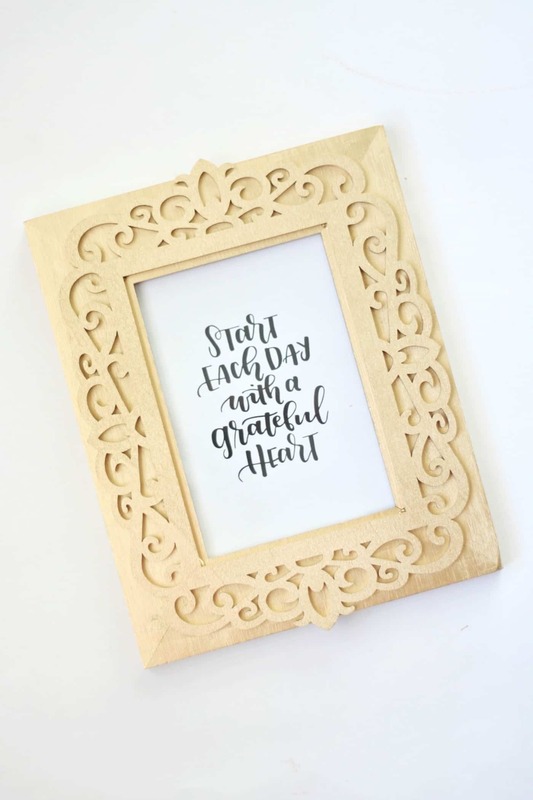 I was inspired by the most gorgeous frame I saw on Instagram last week, and I knew I could back it in a few simple steps with just a few supplies. This project is the result. 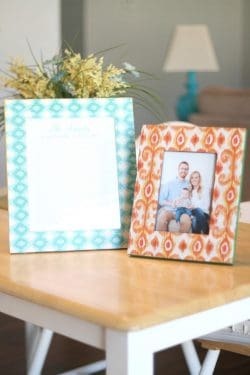 I hope you enjoy the tutorial for this DIY Picture Frame! 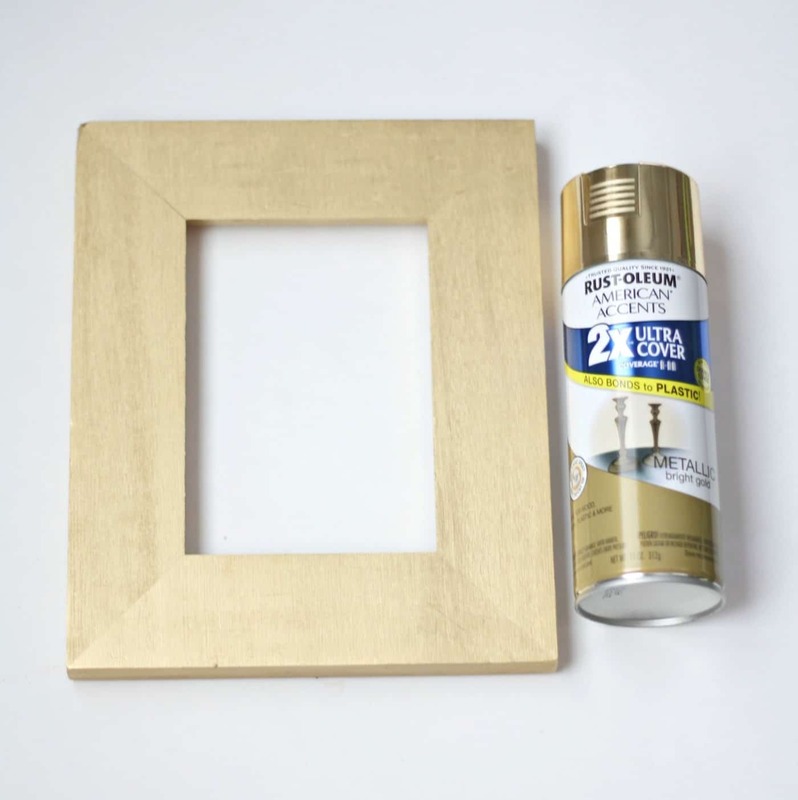 Step 1: Spray paint the wooden frame. 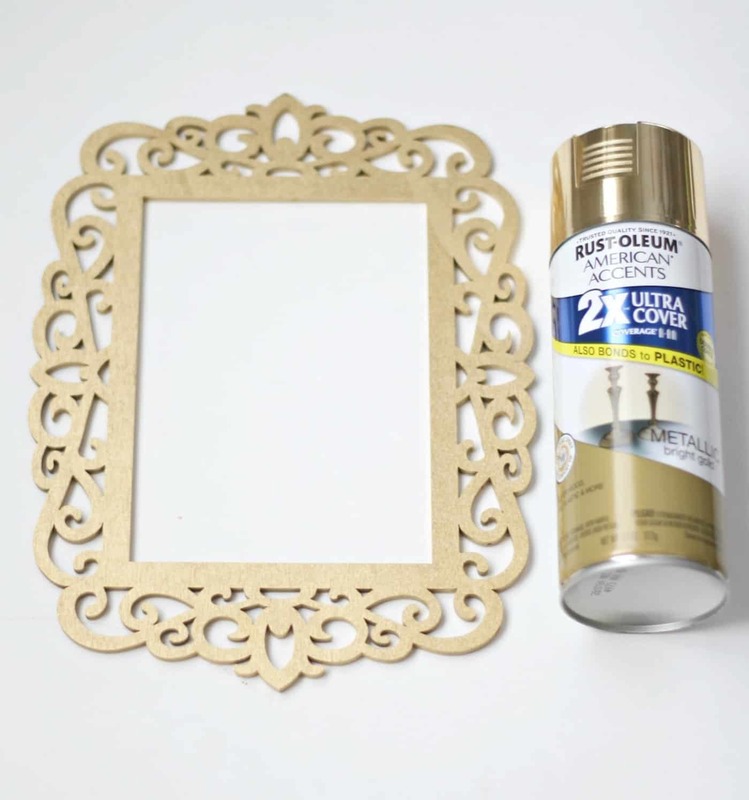 Step 2: Spray paint the wooden laser cut frame. 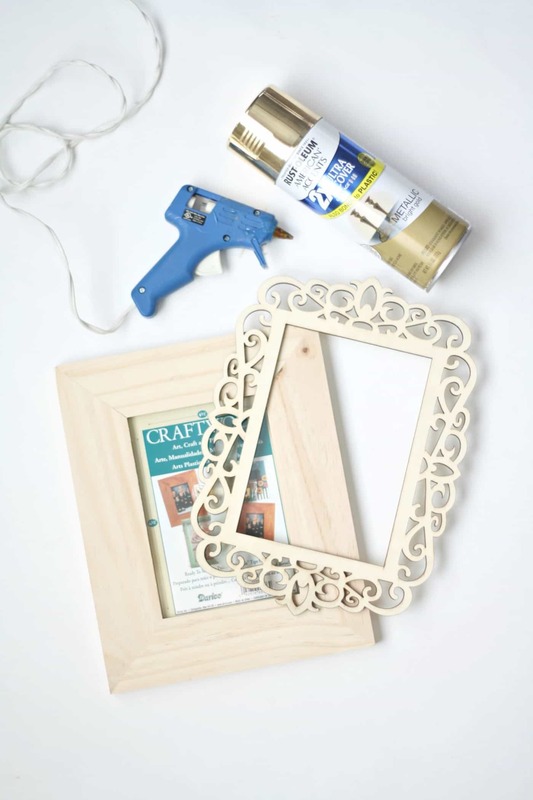 Step 3: Apply hot glue to the plain wooden frame. 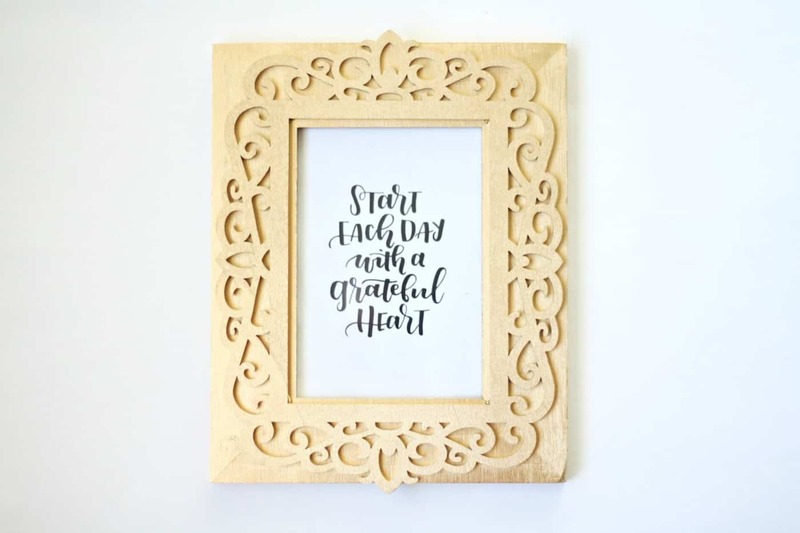 Step 4: Position the wooden laser cut frame on the plain wooden frame. 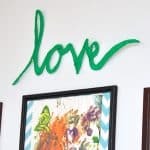 I love when such a simple project makes such a huge impact, and that is definitely the case here! 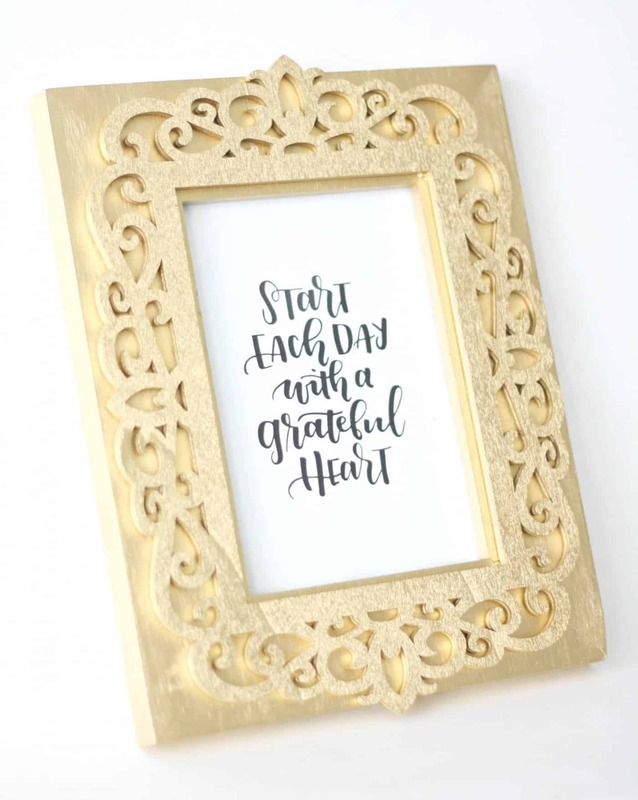 Now, be sure to visit us as we blog about style, food, and the things we love over at the Pretty Life Girls where you can find other fun DIY projects like these Flamingo Mirrors!